Ignacio Lliso Martí-Fluxá is a partner at Accuracy. He has over 15 years of experience and is involved in Decision-making and Transaction Support. Ignacio started his career at PwC in the Transaction Services team before moving to , Arcano Partners to provide M&A advisory services. In 2008 he joined Accuracy where he has been involved in financial-strategic advisory, corporate transaction support, financial modelling, post-deal integration, long term contract reviews, M&A and joint venture audits. Ignacio has worked with clients or targets in the Aerospace industry, IT software, real estate, and upstream exploration Oil & Gas companies and projects across the globe (Spain, France, Portugal, Kazakhstan, Azerbaijan, Russia, US, Peru, Venezuela, Argentina, Gabon, and Philippines). Ignacio speaks Spanish, English, and French. Ignacio has extensively worked for corporate clients in the development of negotiation strategies, market analysis, long term contract margin sensitivity modelling, or post-deal integration. Ignacio also co-leads the Accuracy Strategic Global Innovation team. Ignacio has supported transactions and has been involved in both sell side and buy side assistance (both locally and globally), for Private Equity and Corporate clients. 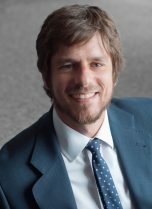 In Joint Venture audit, Ignacio is specialized in E&P and has worked for several global players defending their interests in the context of pre-disputes, claims, and gained experience in the USA, Venezuela, Peru, Trinidad and Tobago, Suriname, Nicaragua, Brazil, Russia, Kazakhstan, Azerbaijan, Gabon, and the Netherlands amongst others. For an European military aeronautical producer: Sensitivity modelling on the margin at completion of long term contracts and advice on negotiation strategy and impact assessment on margin and cash requirements. Co-lead integration project of a travel software company’s finance functions and a transportation industry technology provider (acquired and carved out from a global consulting firm for USD830m). Reviewed the purchase price adjustment mechanism and lead discussions with the seller’s corporate finance division. Business plan modelling for an IT software developer and consulting firm in the context of potential acquisition and upcoming capital calls. Buy-side due diligence of a global water MNC provider in the context of its acquisition for €3.2bn. Carve-out review and buy-side due diligence for PPG on its acquisition of the aerospace and automotive sealants and adhesives business. Vendor due diligence over 126 shopping malls (Spain, France, and Italy). The assets were acquired by a French MNC retailer for €2bn. – Gas pipeline that transports gas from the Camisea oil fields. – Financial due diligence over historical costs and seismic of an upstream oil exploration project off the coast of Gabon.